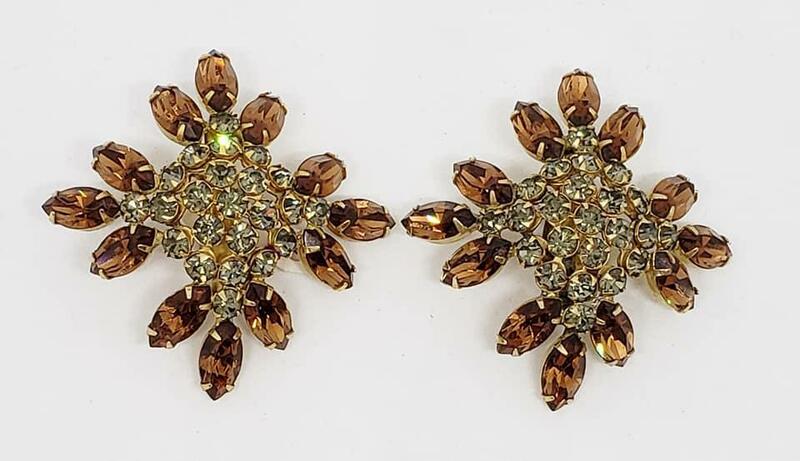 1960's brown and smoky topaz rhinestone clip earrings . 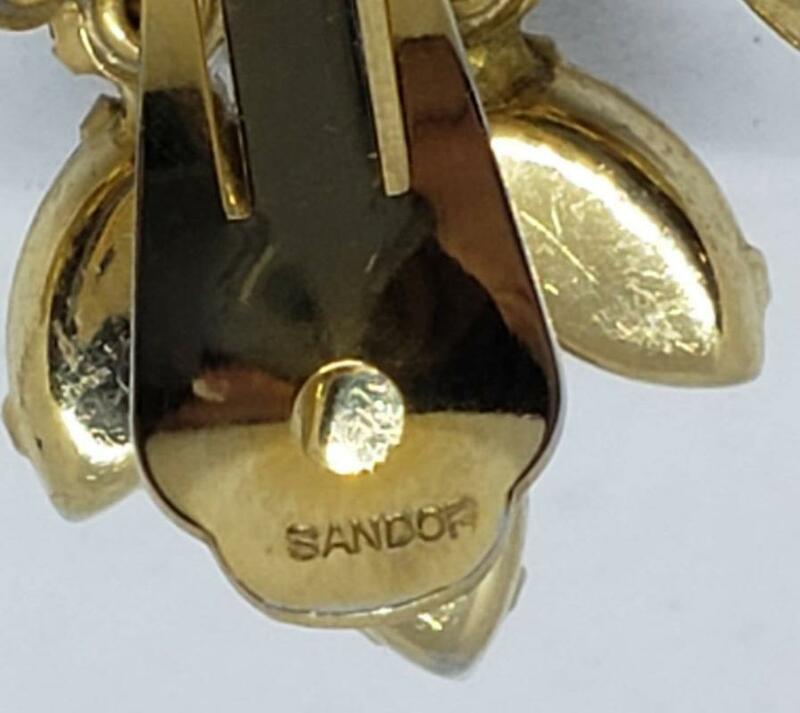 Both clips are signed Sandor. Excellent condition. I thought these were Schreiner as they have very similar characteristics, but they are signed SANDOR. 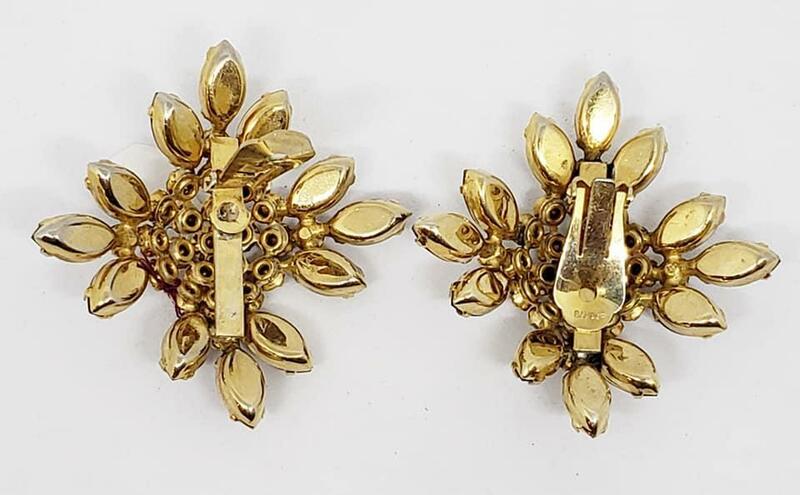 This same clip style is also used by Schreiner, however the bar below it on these earrings is more narrow than the ones used on Schreiner pieces. Items Similar To "1960's Sandor Topaz Rhinestone Clip Earrings"